If you’re about to undergo orthodontic treatment, you’re going to face a challenge keeping your teeth and gums clean wearing braces. That in turn could increase your chances for tooth decay or periodontal (gum) disease, which could diminish your future dental health and disrupt your current orthodontic treatment. The main hygiene tasks of brushing and flossing are more difficult with braces because of the fixed hardware on the teeth. Your toothbrush or floss can’t always easily maneuver around the wires and brackets, increasing the chances you’ll miss some areas. These neglected areas can then accumulate dental plaque, a thin film of bacteria and food particles that’s most responsible for disease. But although difficult, effective oral hygiene isn’t impossible. First and foremost, you’ll need to take more time to be thorough with brushing and flossing than you might normally without braces. Second, there are some specialized hygiene tools to make the job easier. 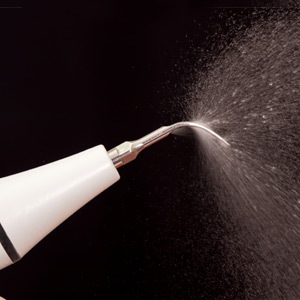 Instead of a regular toothbrush try an interproximal brush. This special brush has a long and thin bristled head (resembling a pipe cleaner) that can maneuver in and around orthodontic hardware much easier than a regular brush. For flossing, use a floss threader, a device through which you thread floss on one end and then pass the other sharper end between your teeth. Once through, you release the floss from it and floss as usual, repeating the process with the threader for each tooth. Another option is an oral irrigator, a device that emits a pressurized spray of water between teeth to loosen plaque and flush it away. Many orthodontic patients have found this latter option to be quite effective. Finally, continue seeing your regular dentist for regular appointments in addition to your orthodontist. Besides cleaning those hard to reach areas, your dentist can also provide other preventive measures like topical fluoride for strengthening enamel and prescription mouth rinses that inhibit bacterial growth. You should also see your dentist immediately if you notice signs of disease like spots on the teeth or swollen or bleeding gums. Keeping your teeth clean while wearing braces is a top priority. Doing so will help ensure your new smile after braces is both an attractive and healthy one.